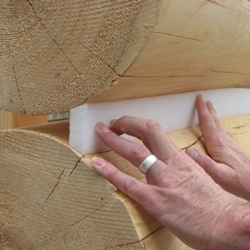 Grip Strip is a closed-cell polyethylene foam backer rod used to provide a firm surface for chinking application in log home construction. 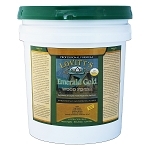 Grip Strip’s unique trapezoidal design compresses to provide an excellent fit to the logs. The product is easily installed and held in place with staples. WHAT ARE THE ADVANTAGES TO USING GRIP STRIP BACKER ROD? 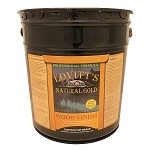 Grip Strip compresses to fit a wide variety of log designs. WHAT SIZES IS GRIP STRIP BACKER ROD AVAILABLE IN ON LOGSTAINS.COM? Call for pricing on other sizes, available up to 3 " widths, 3/4" is most common for most applications, we do carry all sizes. HOW IS GRIP STRIP BACKER ROD PACKAGED? Grip Strip is cut to 4 foot lengths and packaged in 12” x 12” x 50” corrugated cartons.